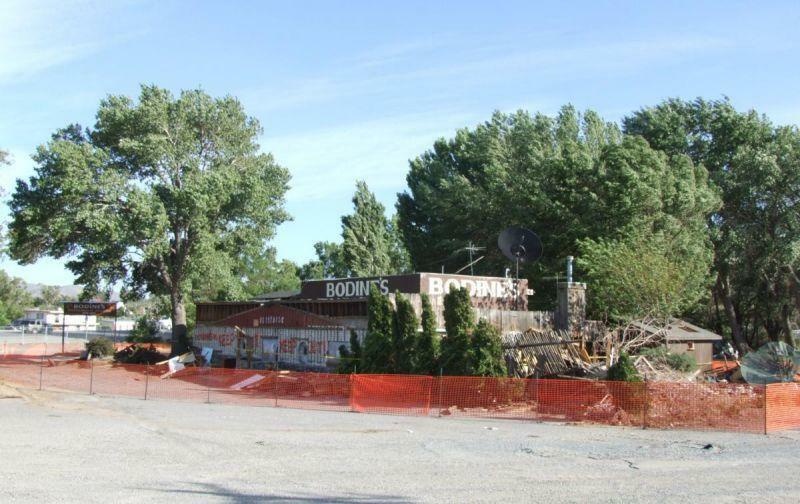 The demolition of the old Bodine’s restaurant began in earnest today. 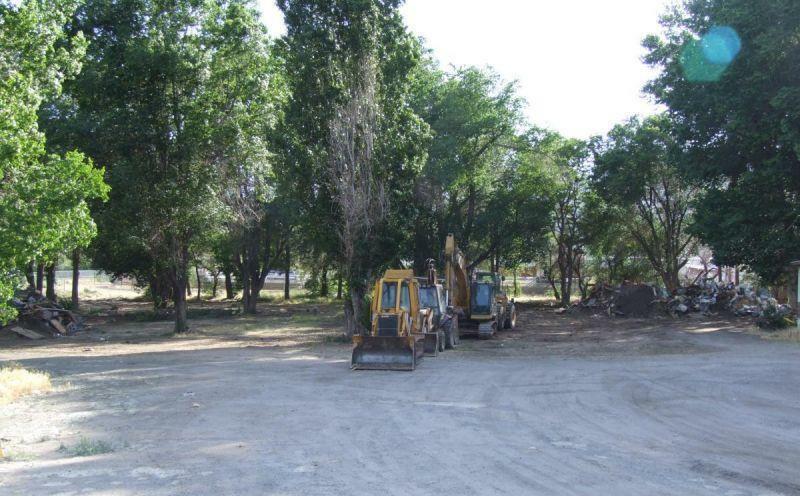 About two weeks ago they fenced off the property, and all this week heavy equipment has been massing on the site. Today the first blows were struck. 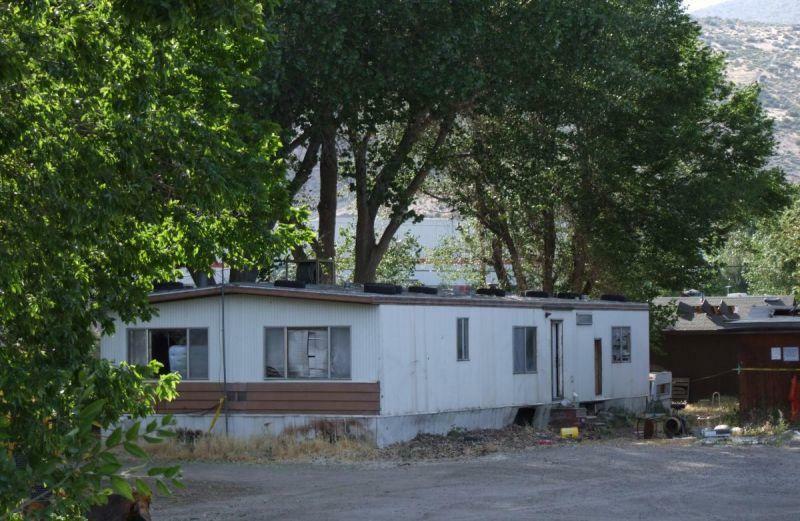 The trailer park next door, JT’s, was the first victim. 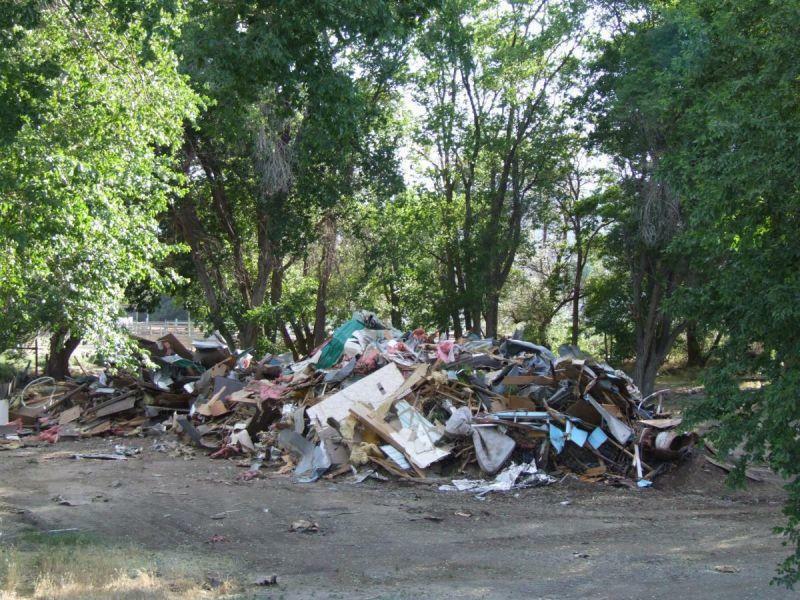 All those mobile homes, some of which had probably been there 40 years, were reduced to this jumbled pile of trash. A sodden mess of aluminum, vinyl, wood, wallpaper, mattresses, fiberglass and wiring. All that’s left of so many homes. So many hideously ugly homes. Here’s the site of the old trailer park, free and clear. They were very careful to avoid all the trees while they were working, but I’m sure the trees aren’t being saved. They can’t be; they’re in the way of the casino. That’s the biggest loss here – that area would have made a good addition to Fuji Park. One mobile home left standing. But its time will come, oh yes. And after the trailers are all gone, it will be time for the main event: the demolition of the restaurant itself. They’re already done a ton of work inside, stripping out most of the fixtures and furniture. They’ll probably just tear into it with the excavator, flattening it piece by piece. All finished in a single eight-hour shift. But that’s not until next week, most likely. I can’t imagine they’ll do any work over the weekend. Why do they always start these things on a Friday? It was the same way with the old firehouse. Start Friday, take two days off, then finish Monday and Tuesday. Don’t jobs start on Monday anymore?